We are more than just a dental practice. Our compassionate staff focuses on your overall care by hearing what you need. We apply our knowledge of comprehensive dentistry to improve your quality of life! 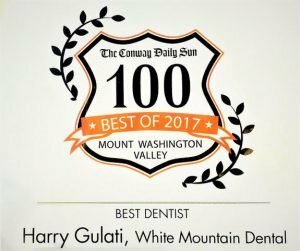 Dr. Gulati was the winner of the Best of Mount Washington Readers’ Choice Award for Best Dentist in 2017 and 2018. Find out why as you explore our site. See the difference White Mountain Dental can make for you! Sleep apnea is a growing problem in the United States. As we recognize that, we take steps to go beyond the CPAP machine treatment. White Mountain Dental offers oral appliances that may be more comfortable and convenient for you. If you have been diagnosed with sleep apnea, call our office to schedule a time to discuss what oral appliances can do for you! We are not just a dental practice. We are a dental practice who cares. Here in our office, we focus on your quality of life and will use all of the tools at our disposal to enhance it. Armed with a wide array of knowledge and several pieces of remarkable technology, we are a great addition to your healthcare team. 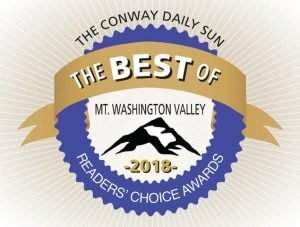 Schedule an appointment today! While traditional braces are effective, they might not be the right option for you. We are excited to be able to offer Invisalign, an amazing braces alternative that can straighten your teeth without making drastic changes to your lifestyle. If crooked teeth are plaguing your smile, call our office to find out if Invisalign can help you! We want to restore both your oral health and your smile! Whether you need a regular checkup and cleaning or are interested in one of our restorative or cosmetic dental treatments, we are prepared to help you. 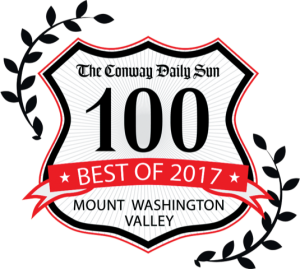 Please make an appointment on this website or call us at 603-356-6505.